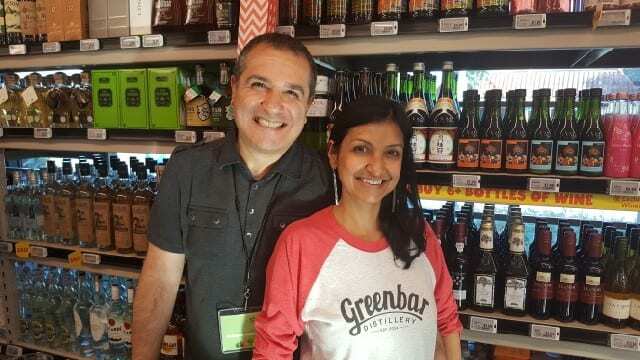 Today, there are more than 1,000 craft distilleries throughout the U.S. Greenbar Distillery was number 38, and they are the first distillery in Los Angeles since Prohibition. They entered this space early but their use of fresh ingredients had people responding positively from the start. 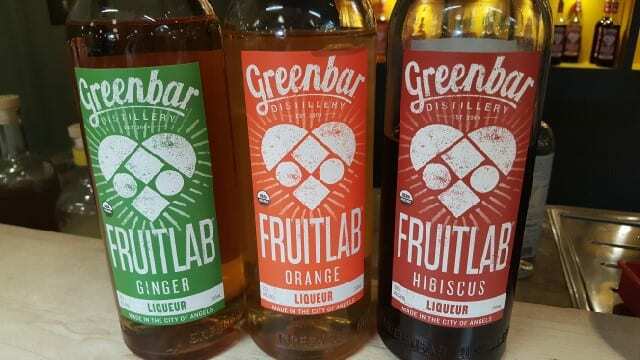 When Greenbar started in 2004, they were doing everything by hand, including hand-zesting lemons for infusions. As they researched different ways to achieve stability in their products, they tried different additives. But, they wanted an all-natural flavor that offered more depth. Melkon noticed a difference in the quality of organic produce and chose to spend more money in order to get quality and flavor. 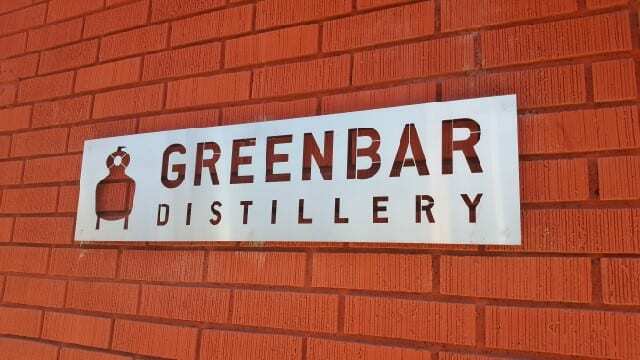 Since 2008, Greenbar Distillery uses only organic ingredients and they are an organic certified distillery. They use lightweight bottles and post-consumer waste packaging with no coatings so that they will biodegrade in compost. 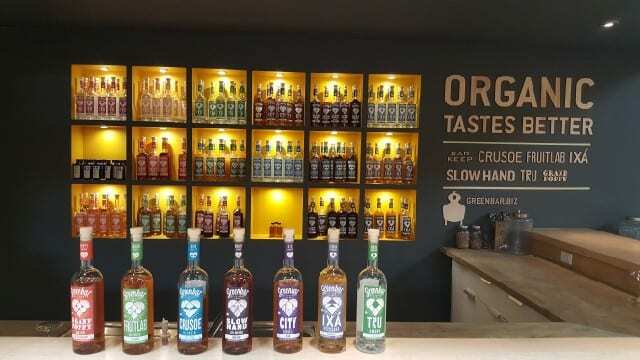 Today, Greenback Distillery produces 17 spirits and five bitters and is the largest portfolio of organic spirits in the world. Earlier this year, Greenbar Distillery released new packaging that best expresses the love between Melkon and Litty and their love for flavor and for Los Angeles. The new motif is a heart that represents this love, but if you look carefully at each of the products in the line, the heart design varies for each one. The heart is made up of diamonds, representing a product you can trust. Tru Vodka is made from Midwestern wheat and California pomegranate and is smooth, light and sippable. The Tru Lemon Vodka is made with 2,000 hand-zested lemons, and you can smell it. It is refreshing and bright with a citrusy note but is not sweet or cloying. The Garden Vodka is infused with celery, peppercorn and nine botanicals and tastes like a spring garden. It is savory and works well in a Bloody Mary. Made with six different hand-toasted wood staves of varying sizes made from white oak, red oak, hickory, grape, maple and mulberry woods, the whiskey has aromas of citrus, stone fruit and vanilla and is sweet and spicy on the palate. Because of the six woods that are used to make this whiskey, the heart motif has lines through it to give the heart six sections. 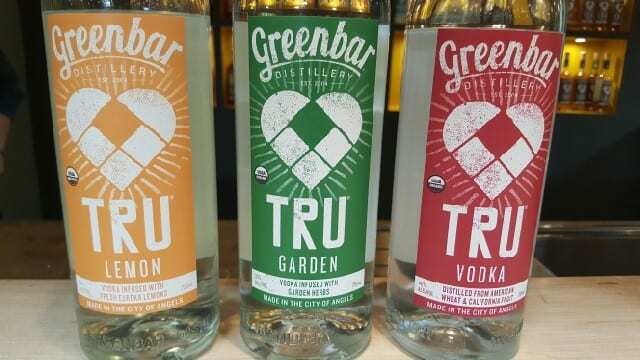 The architectural lines in the heart motif represent the urban backdrop of Greenbar Distillery, located on the southern tip of the Arts District in downtown Los Angeles, an area known as the “green corridor.” The City Bright Gin represents the flavors on Los Angeles, with aromatic herbs of East and South Asia, such as Sichuan peppercorn, cardamom and kaffir lime, and floral and earthy flavors of Mexico and the Middle East, such as ancho chilis, and more. The City Amber Gin is macerated with 14 exotic botanicals for two months for a spicy forward gin. The heart motif on the Grand Amaro bottles represents the complexity of the ingredients. The Grand Poppy Amaro is taste of California. Made from the California poppy and blended with other local California ingredients, the bitter sweet liqueur with notes of orange peel, flowers and honey, is a take on the classic European Amari bitter liqueur. The Grand Hops Amaro is a bitter liqueur made with the spicy citrusy hop flowers found in California IPAs. As rum typically comes from island area, the heart motif looks like an island, or even a bikini, representing the California lifestyle. The Crusoe Silver Rum is made with organic molasses and fermented with white wine yeasts for a sweet, grassy, light and easy rum. 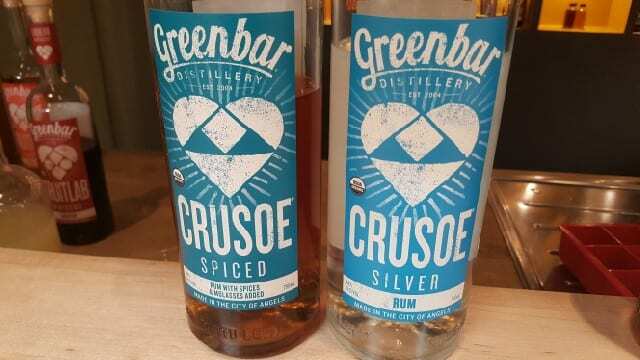 The Crusoe Spiced Rum has cinnamon, cloves, vanilla beans, nutmeg, orange zest and osmanthus added to the organic molasses for a lush rum with notes of cinnamon, banana, baking spices and orange. The heart motif for the tequila series honors Mayan architecture. 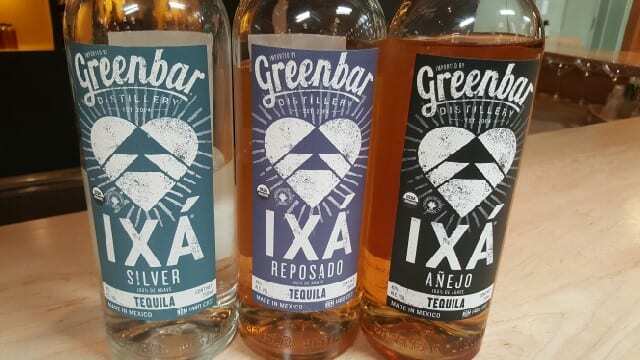 Greenbar produces three tequilas made in Jalisco, Mexico, with 8-10-year-old organic agave plants. The Silver Tequila is rich, creamy and smooth with banana and tropical notes and a hint of citrus. The Reposado Tequila is aged for nine months and has a bright, fruity nose. The Añejo Tequila is aged for 15 months and tastes like baked apples and sweet oak. An ode to California’s diversity, the liqueurs are made with fresh local ingredients. The Ginger liqueur, using fresh, dried and candied ginger, smells like the fresh ginger at the sushi bar, and is sweet and spicy. The Orange liqueur, made with sweet, sour and bitter oranges and cane sugar is juicy and fresh with an orange cream mouthfeel. The Hibiscus liqueur is inspired by Agua Fresca and is sweet and tart. 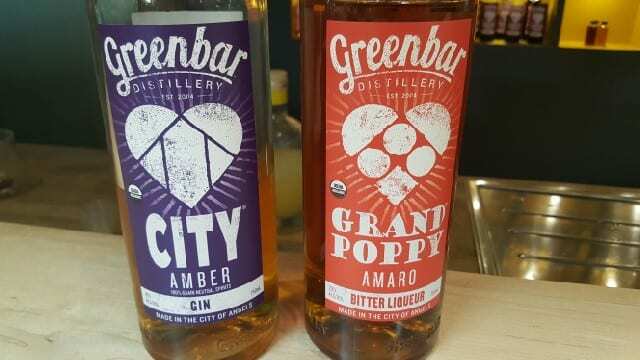 The Greenbar Distillery products are fresh, flavorful and easy-to-drink spirits. They are soft on the palate with beautiful finishes and no burn. And they can all be mixed and matched to create simple cocktails. 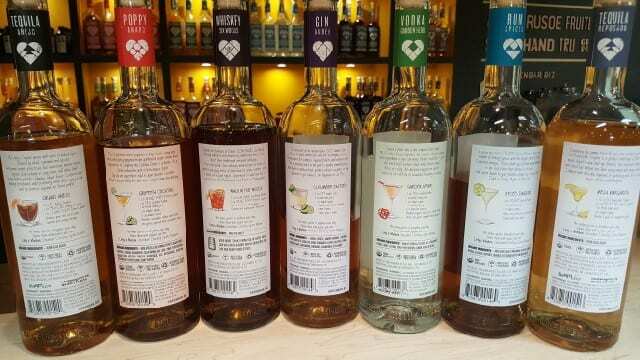 In fact, in addition to the ingredients listed on each label, there are also cocktail recipes. 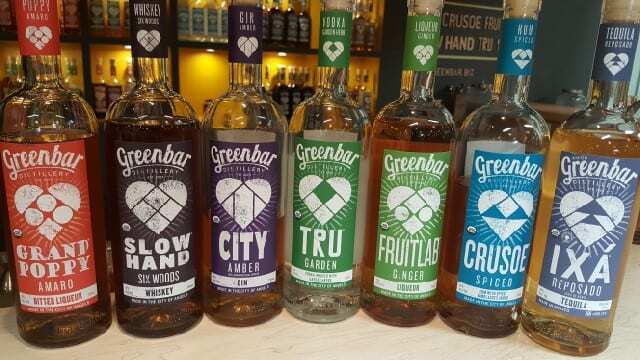 Vice President of Operations David Milewski described that at Greenbar Distillery, “we make things that meet our wildest dreams” and then we get to enjoy them. This entry was posted in Cocktails, Lifestyle and tagged craft spirits, downtown LA, DrinkWire, Greenbar, Greenbar Distillery, Liquor.com, Litty Mathew, Melkon Khosrovian, organic spirits by Allison Levine.